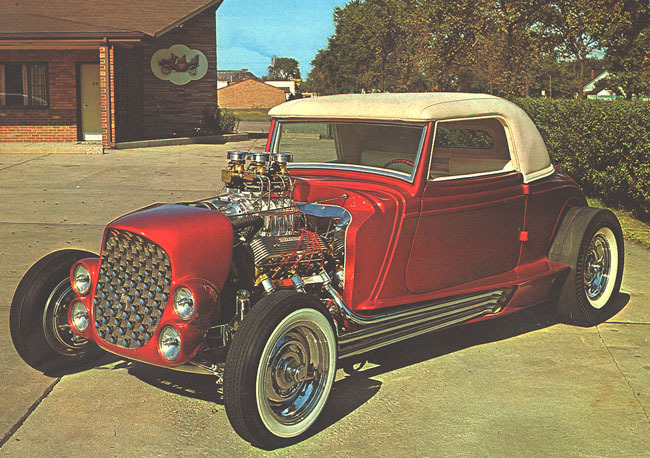 The 69er is the name of DonVargos 34 Ford Roadster. 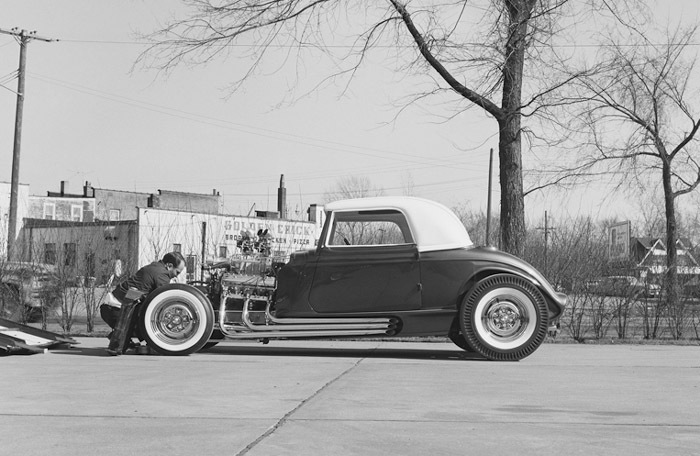 The influence of the "Lil Deuce Coupe" is immediately apparent, probably because the excellent customizing was handled by Detroits Alexander Brothers. 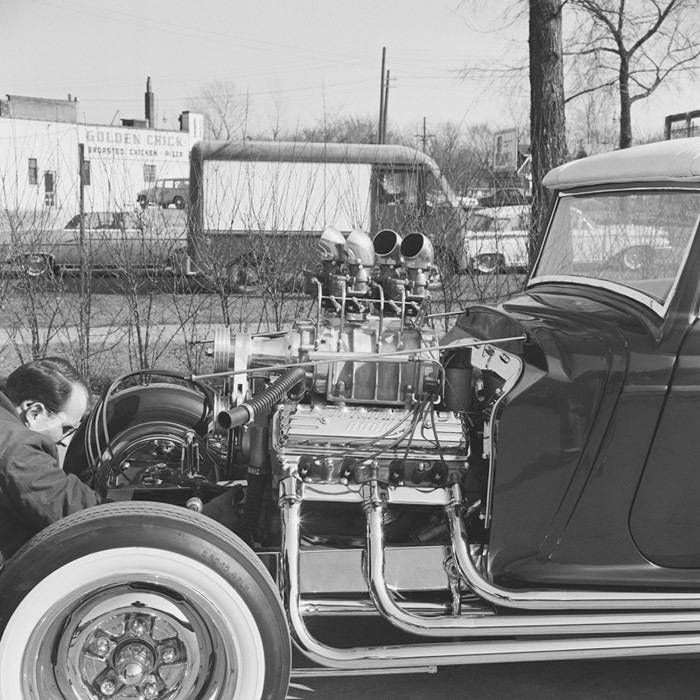 Power is provided by a 485 horsepower Oldsmobile V-8. 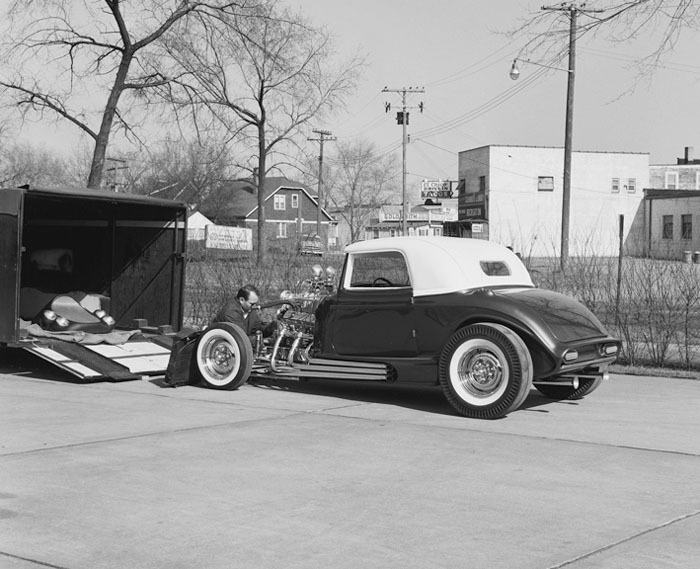 The bottom black and white photos were provided by Robert Genat taken perhaps at the same location which was the family owned motel in Melvindale.